This Freestanding Store Panel with Posts is another good way to add character to your play structure. It’s designed to remind children of an old-timey village, with its detailed cobblestone pattern on the bottom and its roof paneling on top. As its name suggests, this panel lets children pretend they are running the counter of a store, hotel, movie theater or any other place of business. The included 3.5 inch posts provide a sturdy foundation for mounting. 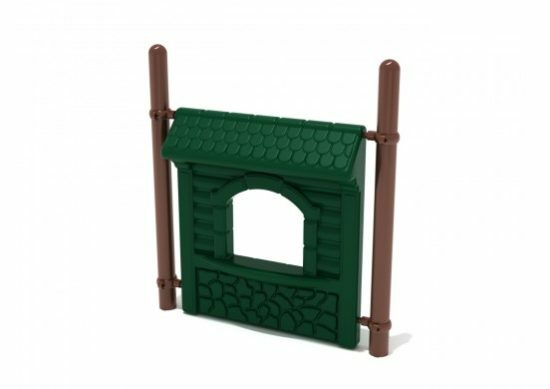 The Freestanding Store Panel with Posts is made with a durable roto-molded plastic material designed to last all year-round in any weather conditions. The free-standing model can be installed anywhere, and does not require a safe usage zone. 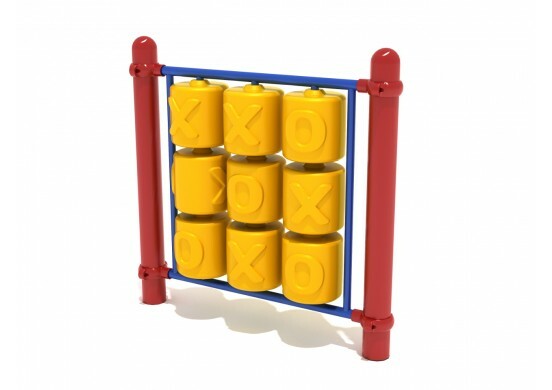 Contact a representative today for more information on this piece, or for assistance designing your play structure or area. 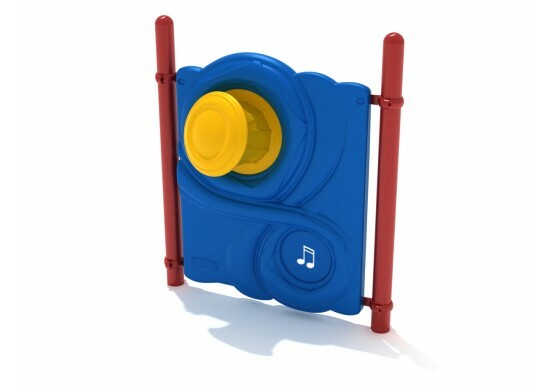 The Freestanding Store Panel is designed for children ages 2-12.